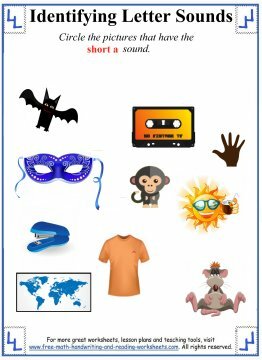 The first lesson in this unit on short vowels will focus on the short A sound which is found in the middle of words like cat, fan, mask, and so on. It also begins words like apple and average. 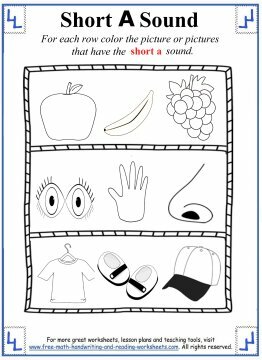 I have created six different lessons that you can use to teach this important short vowel sound to your child. 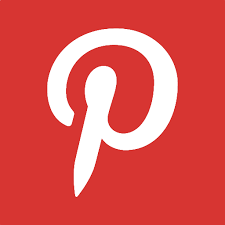 Feel free to use these worksheets at home as part of a homeschool curriculum or use them in a classroom setting as part of your lesson plan or to reinforce skills that your class is working on. I've presented the short 'A' sound in a few different ways. The first worksheet has various objects on it. Go through the items with your child and name them all. If the word uses the short vowel sound for a, then circle the item. In the second paper, there are nine different boxes. Each box has a picture in it with a line for writing below it. As you did in the first paper, go through the items and name them with your child. 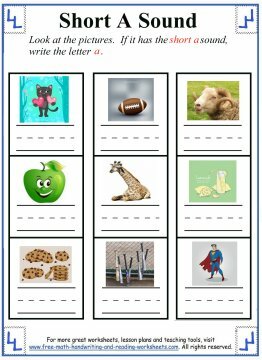 For each picture that uses the vowel sound, write the letter 'a' on the line beneath it. There are a few different ways that you could use this worksheet. You could have them write the complete word instead of just the letter a. 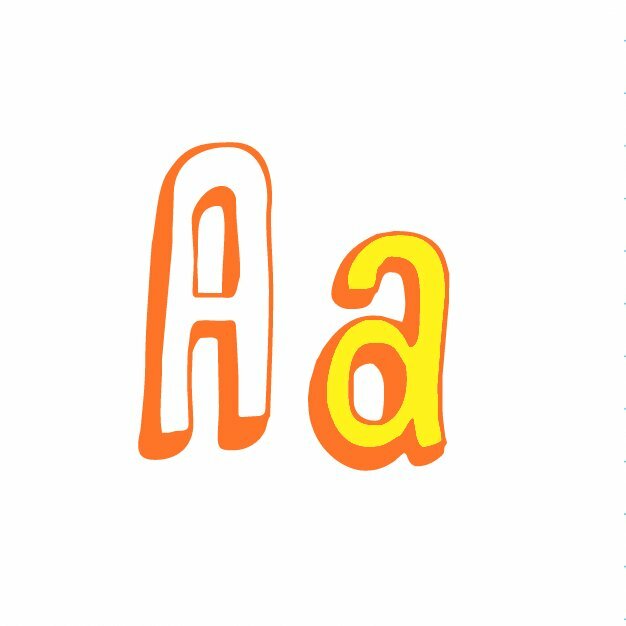 You could also turn this into more of a writing activity and have your students write all of the words below each picture and then highlight the letter a in the words that use the short a sound using a crayon or marker. Make it fun! The third printable has three rows on it. Each row has a picture with a line for writing below it and four words next to it. Name the item in each picture and then circle the word next to it. Finally, write the correct word on the line beneath the photo. The fourth sheet has three rows on it. Each row has three different pictures on it. Go through the items with your child and name them. 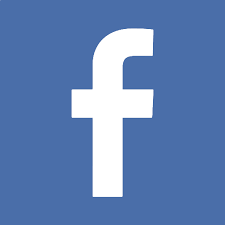 If the item uses the correct vowel sound, color in the object. The following paper has a box at the top with four words in it. This is the word bank. Below that are four separate boxes with a word inside them. Using a word from the word bank, write the word that rhymes inside the box. Underneath the boxes are two lines for writing. The first line is missing a word. Trace the words and then write the word from the bank that best completes the sentence. 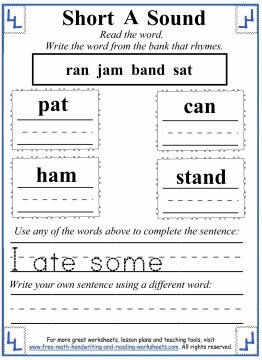 Then, use the line at the bottom to create an original sentence using a different word from the bank. 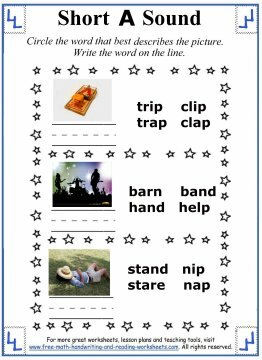 The Web Words worksheet is a fun activity that your child can use to come up with words using the short vowel. 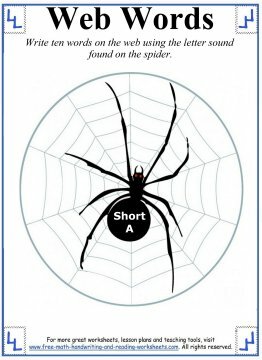 On each section of the web, write a word that uses the short a sound. There are ten sections of web, so your child needs to come up with ten different words. If you need help, you can see the short vowel word lists that I created at the bottom of this page. For more of a challenge, have your students write words on the blank spaces between the webs. There are about five spots for each section of web. Challenge them to come up with as many words as possible!